Popular as 'the Number One Temple under Heaven,' Shaolin Temple is located in the Songshan Mountain region of Dengfeng City in the Henan Province. Learning about the history of Shaolin Temple will take you as far back as 386 – 534, during the Northern Wei Dynasty. It had a huge impact on the growth of Buddhism in the Chinese culture. Shaolin Temple is the birthplace of Shaolin Cudgel and other Shaolin Martial Arts as well as the Chinese Zen Buddhism. In 2010, it made its way to the World Cultural & Natural Heritage Listing by UNESCO. The mountain is overflowing with pines and wildflowers, a brook, and singing birds. Visitors can expect to enjoy a great view when they arrive. In the 1970s, the Kung Fu TV series gained massive popularity around the United States. A lot of viewers of the show were children. Individuals in Countries where the show was aired started gaining interest in Buddhism and martial arts which the show portrayed. Most of the history on the show was lacking in accuracy but some areas were partially true. Parts where the show depicted the destruction of the temple in by the Qing Dynasty in the 19th century, as well as the arrival of a monk in the US, have some historical backing. In recent times, the government has reopened the school as a tourist location. It is also now a UNESCO World Heritage site where martial arts performances are available for visitors to watch. The location is also home to the Forest of Pagodas which contains lots of graves, and Qing or Ming era architecture. In the 20th century, Shaolin leaders moved out of the temple. These leaders traveled to various countries like the US to settle down. In the early periods, there was a lot of opposition to the religion by political armies, Chinese governments, warlords, and foreign countries. According to martial artists that went through the training in schools other than the Shaolin Temple site agree that the site doesn't provide pure Shaolin Teaching. Instead, it offers a mix of different styles and teachings which is what is referred to as Wushu. Another important mention is the Wushu Training Center. This is the best place for Chinese Shaolin Kung Fu practice. For more than 1,500 years, Shaolin monks have performed the practice of Kungfu. Dharma, the inventor of the practice, taught it to the monks as a means of defense and also for health benefits. 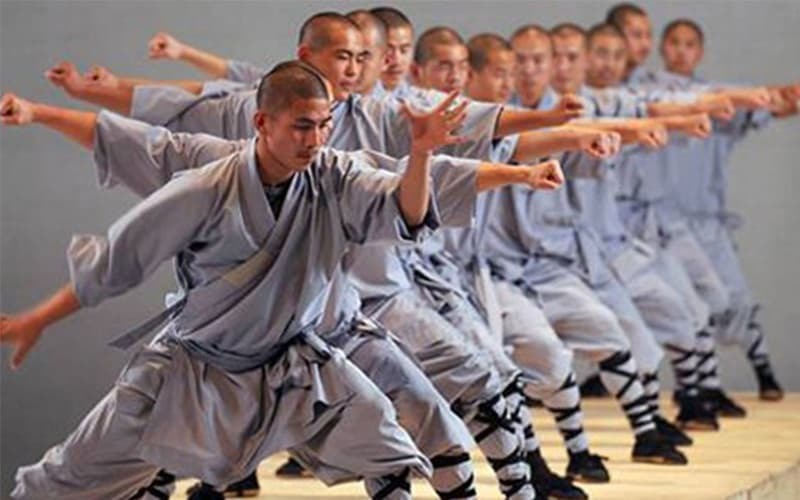 The true Kung Fu of the Shaolin Temple is usually on display in the Martial art performance. 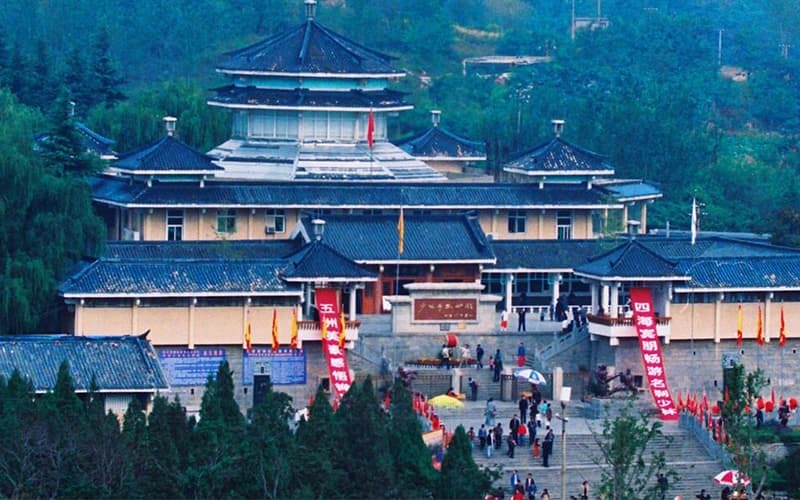 The Buddhist temple in the Henan Province gained massive popularity all over the world largely due to the 1970s Kung Fu TV series and other Shaolin Kungfu movies. On August 1, 2010, the site was listed as a UNESCO Heritage List site. The long history of the temple is filled with ups and downs. It experienced a lot of destruction, rebuilding, and closure, time and time again. Centuries worth of human remains is buried in a graveyard on the site. Certain places offer lunch and martial arts performances also hold. A vegetarian meal is available. In Taoism, there is the belief that a vegetarian meal can make a trainers' soul pure. Wushu fighting styles are now taught to students at a Shaolin school on the site which has the government support. Only have saw Chinese Kongfu on TV? 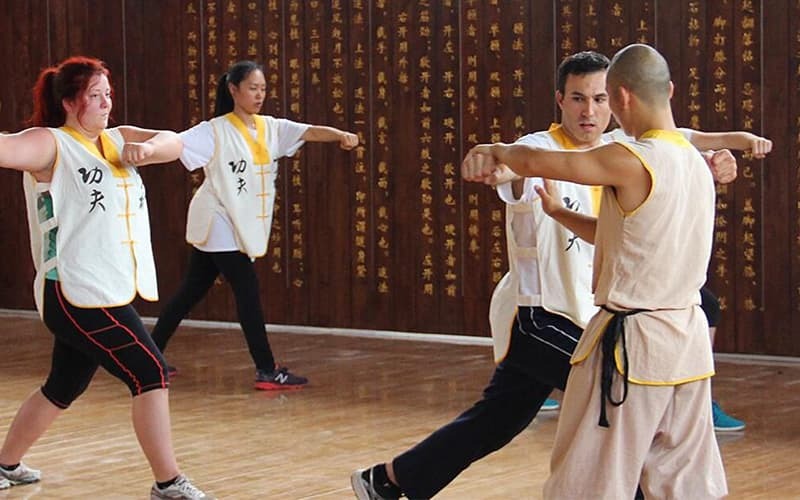 We offer you the choice to learn the most authentic Shaolin Kongfu in China! Give us a choice to design your unique private tour. Please see our best tours as below. All these are based on our 20-year experience. Get an idea and contact our travel consultants for a customized tour!